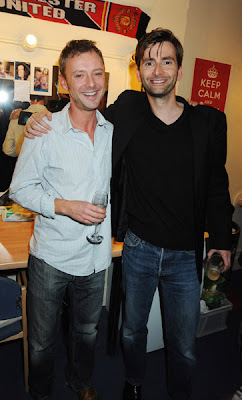 David attended the press night for John Simm's new play, Speaking In Tongues, at the Duke Of York theatre last night. After the success of our various annual projects since 2005 (see the Fan section) we would like to invite you to submit items to go into a Christmas book for David. We would like to collect general messages, fan art, poetry, or maybe even photos or anecdotes of when you met David. Tell us about your Doctor Who collections or anything else that you like! Please try and keep messages reasonable in length as we would like as many people as possible to be able to make a contribution. All messages must be in before 5pm on 9th December 2009. 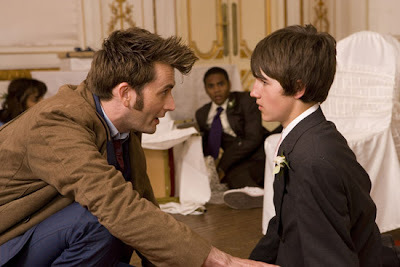 Check out the pics above to see the first look at David in action as the Doctor in the latest series of The Sarah Jane Adventures! Overall story summary: "Sarah Jane has met Peter Dalton and wants him to become part of her life; to become a father to Luke perhaps. But Clyde thinks Peter is hiding a secret or two of his own, especially when he and Rani find an empty house where Peter says his home should be..."
Part one summary: "The Doctor returns on the happiest day of Sarah Jane's life - but a deadly trap is waiting for them all! As the strands of a clever and careful plan draw together, can even a Time Lord save Sarah Jane, on the day of her arch-enemy's greatest triumph? The collection contains: Hairy Maclary from Donaldson's Dairy Hairy Maclary, Sit! Hairy Maclary and Zackary Quack Hairy Maclary's Rumpus at the Vet Hairy Maclary Scattercat Hairy Maclary's Bone Hairy Maclary's Showbusiness Hairy Maclary's Caterwaul Caper. Available to pre order in our shop for just £6.49 here. David attended the opening night of ENRON at the Royal Court on 22nd September. You can read about it here courtesy of What's On Stage. You can pre order the Hamlet DVD for just £14.69 from our shop today! David will be joining his friend, Christian O'Connell, to co host the Absolute Radio Breakfast Show for a week in November. Introducing the latest addition to the Absolute Radio line-up, Doctor Who. We're very excited to announce that David Tennant will be presenting a run of breakfast shows with Christian O'Connell this autumn. Our favourite star of Saturday teatime told The OC that he wasn’t interested in simply coming in for an hour here or there, he wanted to do the full 6am to 10am. In fact David's said he wants to beat Christian in for the pre-show scrum at 5:15 and fire his own ideas into the pot, which at the very least means that we’ll be spared the Nickname Game and Doc Hollywood for a few days. 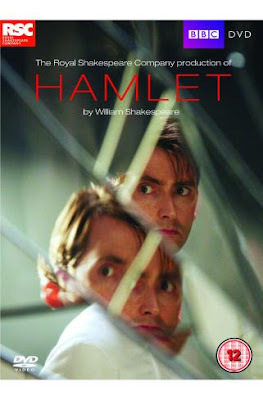 The DVD cover for Hamlet has now been revealed and can be viewed above. 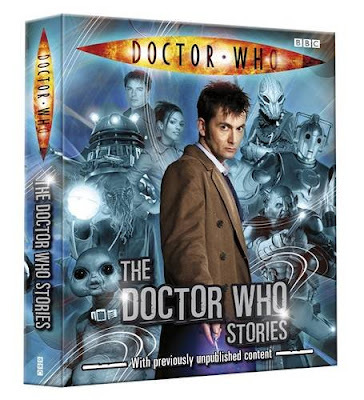 The DVD will be released on 28th December 2009 after it is broadcast on BBC Two. You can order the DVD from play.com here. 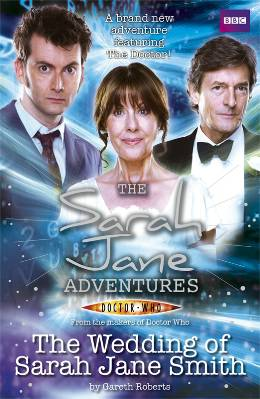 The episode of The Sarah Jane Adventures that will feature David's cameo is to be released as a novel. Sarah Jane is acting very suspiciously. When Luke, Clyde and Rani investigate, with the help of Mr Smith and K-9, they discover something unexpected – Sarah Jane has a boyfriend and she’s going to marry him! Of course, in Sarah Jane’s life, things are not always as they seem and some very special wedding guests ensure this is one day she will never forget! The book is released on 5th November 2009 and can be pre ordered in our shop here for just £4.49. David has topped a poll to find senior junior school children's 'dream headteacher'. Girls wanted a "kind, caring" head while boys look for "a winner", in the survey of 9-11-year-olds by the National College for the Leadership of Schools and Children's Services. Doctor Who, Psychoville, Coronation Street, Skins and even Cranford all have their new media multi-platform spin offs. To discuss the process of 360° commissioning, the impact on programme genres, and what the future holds, we have assembled a panel of commissioners and producers including Adam Gee, New Media Commissioner, Factual, Ch4; Martin Trickey, BBC Comedy Commissioning, Multi-Platform; Gavin Collinson, Interactive Producer, Doctor Who; Andrew Hawken, Editorial Director, sky.com. Chaired by Robin Parker, Deputy News Editor, Broadcast magazine. If you'd like tickets to attend then click here. It has been confirmed that the brand new Doctor Who animation, Dreamland, starring David Tennant and Georgia Moffett will air in October 2009. The exact air date is still to be confirmed. Thanks to our friends at Blogtor Who. David's epiosdes of The Sarah Jane Adventures, The Wedding Of Sarah Jane Smith, are expected to air on BBC One on Thursday 29th October and Friday 30th October. The next Doctor Who special, The Waters Of Mars, should then follow on BBC One in November. David's new film, Glorious 39, in which he plays the role of Hector has premiered at the Toronto Film Festival to great reviews. Tonight it will have it's second screening and it's official press call. Screen Daily have a review of the film here (although if you want to remain spoiler free you may want to avoid it) and you can visit the BBC Film page here. The Next Doctor is now available to buy on DVD in the USA. Christmas Eve, 1851, and the Cybermen stalk the snow of Victorian London. When the Doctor arrives and starts to investigate a spate of mysterious deaths, he's surprised to meet another Doctor and soon, the two must combine forces to defeat the ruthless Miss Hartigan. But are two Doctors enough to stop the rise of the CyberKing? You can buy the Next Doctor on DVD from our USA store here. FIND OUT WHAT’S BEEN VOTED THE GREATEST STORY OF ALL TIME, IN DOCTOR WHO MAGAZINE 413! It’s taken many months to compile... but now, at last, the results can be revealed of the biggest poll Doctor Who Magazine has ever undertaken! Discover which series in Doctor Who’s incredible 46-year history is the most popular; which is the highest rated story for each Doctor; which Dalek story is the most admired... And which remarkable story has come out on top of THE MIGHTY 200! Featuring contributions from members of the cast and crew who helped create the Top 10 stories and an in-depth analysis of the results, this very special issue is essential reading! RUSSELL T DAVIES describes the incredible reception David Tennant received when he took to the stage in the USA in Production Notes! There’s brand new comic strip adventure, ONOMATOPOEIA, by Dan McDaid with art by Mike Collins. You can now watch David in The Quatermass Experiment online for free courtesy of MSN Player. Photos from David's exclusive interview on the new Doctor Who Dalek Collection DVD can now be seen here, thanks to Blogtor Who. The DVD will be released on 17th October 2009 and can be pre ordered in our shop for just £10.98 here. David is currently recording Of Mice And Men at Radio Scotland in Glasgow. 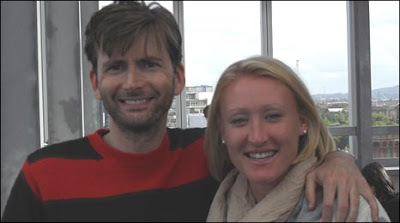 Elena Baltacha's met up with him there yesterday and has written about the meeting her BBC diary here. BBC America will be showing a Doctor Who marathon on Sunday 13th September from 06:30am and it will include the BBC America premiere of the unedited version of Journey's End. 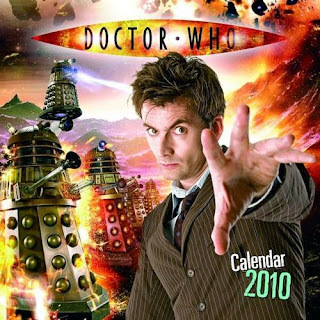 The official Doctor Who calendar for 2010, featuring photos of David as the Tenth Doctor, is now on sale. "Doctor Who is a national treasure which gets better with age. Re-live some of David Tennant's finest moments with our 2010 calendar celebrating his reign. You can buy it online in our shop for just £4.39 here. With his lamented departure, this calendar will at least help with the withdrawal symptoms." This year's London Film Festival programme has been announced and Glorious 39, in which David appears as Hector, is on the schedule. Wednesday 28th October at 16:00pm on Vue Screen 6, this screening will have subtitles and audio-description. If you are a member of the BFI you can enjoy priority booking online from 23rd September. Click here for full details and to join up. David Tennant is to star in a BBC Radio 4 dramatisation of John Steinbeck's Of Mice and Men. The Doctor Who star will play George Milton opposite Liam Brennan as Lennie Small in the story of two migrant workers in 1930s California whose dream of owning a place of their own is destroyed. Steinbeck's seminal novella has been adapted by writer and dramatist Donna Franceschild, who worked with Tennant on BBC2 drama Takin' Over the Asylum, in which he starred with Ken Stott in 1994. Of Mice and Men will air in Radio 4's Classic Serial slot early next year. Tennant's previous Radio 4 plays have included The Wooden Overcoat by Pamela Branch in the Saturday play slot in 2007. A BBC Scotland Radio Drama production, Of Mice and Men will co-star Jude Akuwudike, Christopher Fairbank, Melody Grove, Neil McKinven and Richard Madden. It is produced by Kirsty Williams. The RSC have released a new edition of Romeo And Juliet. 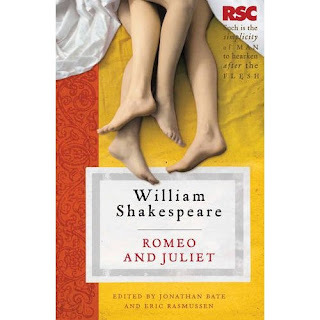 The new volume Includes on-page explanatory notes, a scene-by-scene summary and interviews with actors David Tennant and Alexandra Gilbreath and director Michael Attenborough, this book offers different approaches to Shakespeare's tragic love story. It is officially released on 11th September 2009 but it's already in stock at Amazon so can be purchased via our shop here for just £4.19 today. Thanks to Marie Jacobs. 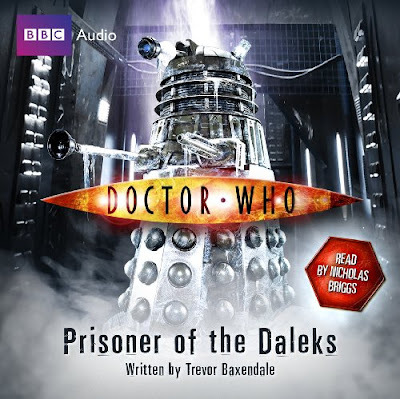 The art work for The Day Of The Troll, the new Doctor Who audio adventure narrated by David, can be seen above. It's released on Thursday 8th October 2009 and can be pre ordered in our shop for just £5.37 here. Scottish TV are currently running a poll to find the Greatest Scot and you can nominate David for his work in Arts and Entertainment. The five most popular nominations will be added to the 30 Scots already listed and will feature in a major new STV series in November. You'll then be able to vote for the person you think is our Greatest ever Scot. The winner will be revealed on STV on St Andrew's Day and will be commemorated forever in a major new work of art. David has been nominated for the Best Drama Performance award at the National Television Awards for his role as the Doctor in Doctor Who. Doctor Who is also nominated for Best Drama. All votes must be in by 29th September 2009. A shortlist will then be drawn up and the nominees with the most votes will go through to the next stage. The winners will be announced at ceremony at London's O2 Arena in January 2010. You can download the podcast of David on The Christian O'Connell Solution here. Christian O'Connell is looking for your help in finding a new job for David. "And here's a new problem for you; What job could David Tennant do? He's quit Dr Who and looking for work, so he needs your help! Solutions?" Tweet him your suggestions here. 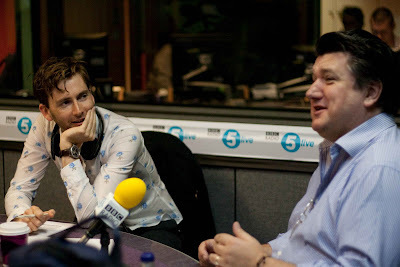 Don't forget to tune into The Christian O'Connell Solution on radio Five Live tomorrow moring from 11:00am when David will be a guest on the show. You can also listen online here and download the podcast after broadcast here. 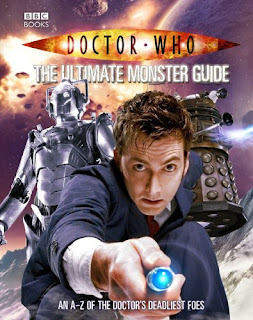 Another Doctor Who Quick Reads novel, The Code Of The Krillitanes, featuring David as the Tenth Doctor will be released on 4th March 2010. “I blame those new Brainy Crisps. Since he started eating them, he’s been too clever by half.” Can eating a bag of crisps really make you more clever? The company that makes the crisps says so, and they seem to be right. But the Doctor is worried. Who would want to make people more brainy? And why? With just his sonic screwdriver and a supermarket trolley full of crisps, the Doctor sets out to find the truth. The answer is scary – the Krillitanes are back on Earth, and everyone is at risk! 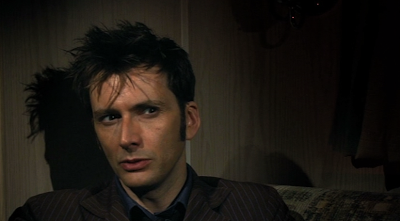 A short, sharp shot of adventure, featuring the Doctor as played by David Tennant in the hit series from BBC Television. UK Fans : Click here to download the order form. You must print the order form, complete it and send it with a cheque made payable to Headway Essex. Each card requires a minimum donation of £20:00 plus £1:00 Postage. Overseas Fans: If you are from overseas and would like to purchase one of the cards that David has signed to raise money for Headway then please email town.office@headwayessex.org.uk for payment instructions. Visit www.headwayessex.org.uk for info on the wonderful work that Headway Essex do. David will be a guest on the new Radio 5 Live show The Christian O'Connell solution on Sunday 6th September at 11am where he will be helping Christian and comedian Bob Mills to put right some of the world biggest (and smallest) wrongs in just one hour.